You know how some sofas and chairs look like you could sink into them and get lost in comfort while other, more formal pieces look like they would keep your back propped up and your posture perfect? The reason for the difference is because of two factors: the back height and cushion style. The back height determines if you’ll be able to rest your head against something when you’re sitting down, making you feel more or less supported (see more about that and how we use back height in our comfort rating system here). Once you narrow down the best height for you, it’s time to think about cushion styles. There are three main kinds: tight back, cushion back, and loose back. 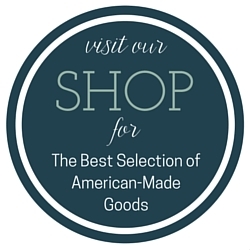 Keep reading for more about each kind (and head here to see our selection of sofas when you’re ready!). 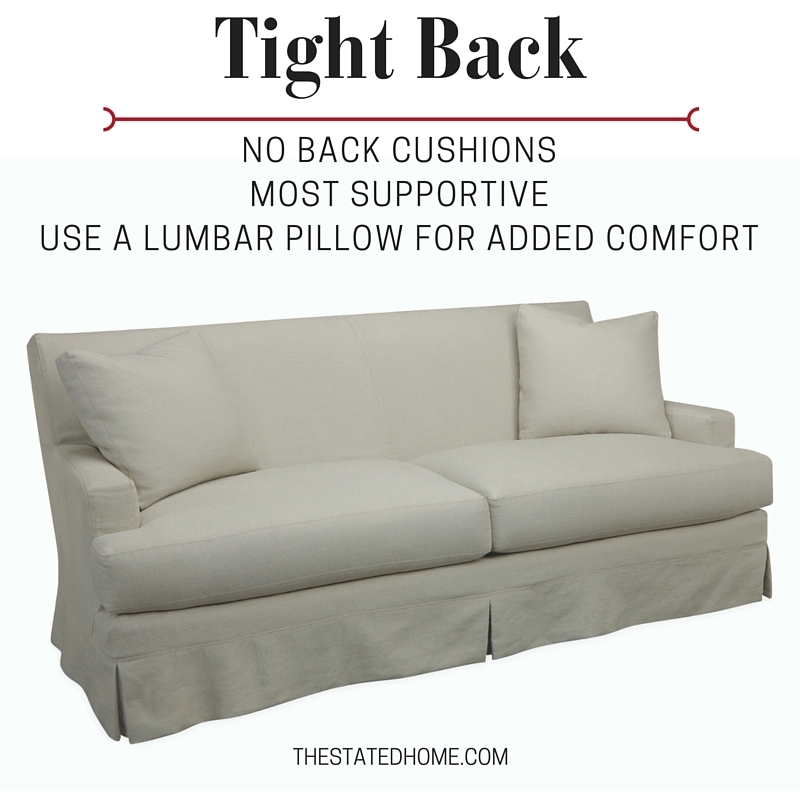 Tight back is is the most supportive of all the sofa back styles. There are no cushions, which is good if you want to sit upright and not bother with fluffing and flipping pillows. If you choose a tight back for its supportive qualities, it is important that you don’t have too deep a seat (although if you happen to have a super deep seat with a tight back, a lumbar pillow can help out). 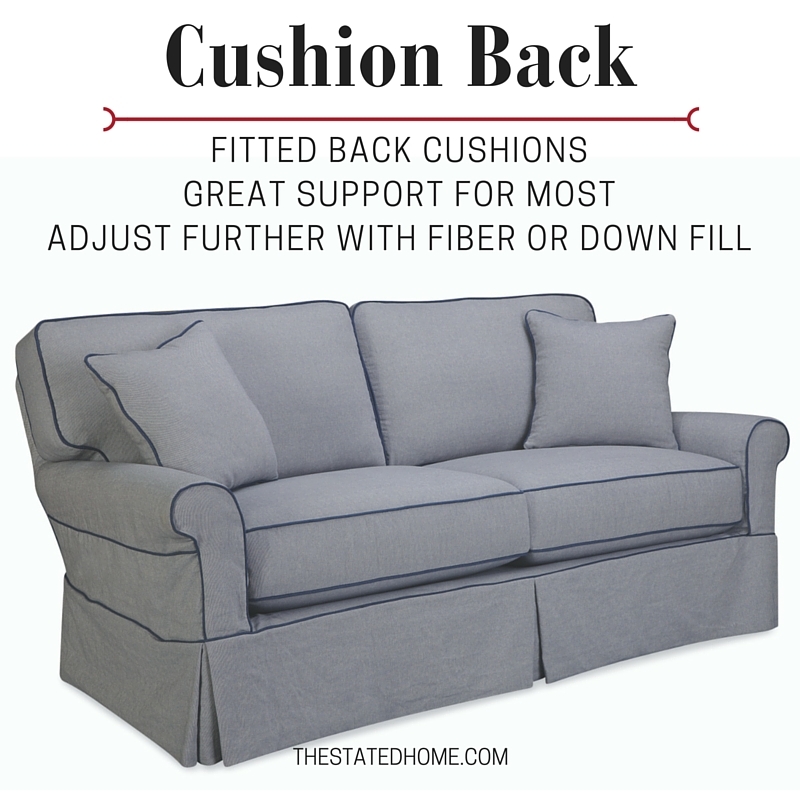 Cushion back is by far the most common style of upholstery back and has the right amount of support for the majority of us. The cushions are cut to fit the sofa perfectly, so that they remain in place. The best part is that the pillows are nice and soft to lean back against. There is one more level of customization with this kind of sofa: Choose naturalLEE filling if you want something a little firmer and down filling for more softness (although the latter requires more fluffing). 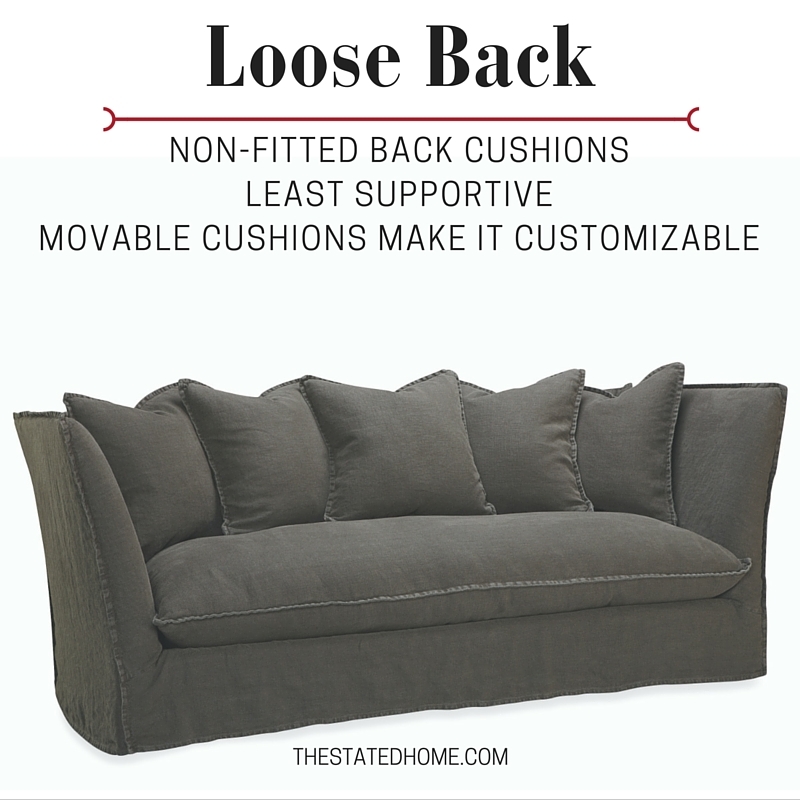 Loose back is the most-comfortable/least-supportive of all the styles. Lots of large throw pillows make up the back of the sofa, so it’s perfect if you want something to lounge back in and watch movies (or nap! ), but the free style of the cushions can be lacking support of the previous two styles. So which style is right for you? If you spend a lot of time sitting upright and don’t like sinking back, make support a priority and go with a tight back. Add lumbar pillows for even more lower-back support. 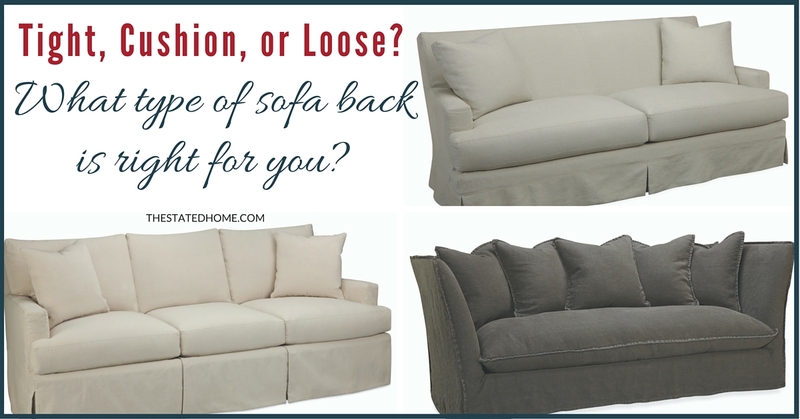 If you want to lounge back and feel enveloped in softness, loose back is the right option. Choose naturalLEE filling if you don’t want to worry about fluffing the pillows or go with down filling if you want the softest option available. If you fall somewhere in the middle, as most people do, go with a cushion back sofa (you can still choose between naturalLEE and down). Either way, you’ll feel supported and be really comfortable at the same time. Standard Sofa Height: Should You Go Shorter or Taller? Sofa Quality: What Makes One Sofa Last Longer Than Another? Thank you! Thsee posts were exactly the information I was looking for.